The Coalition to Save Manned Space Exploration: Congratulations to SpaceX for Successful Falcon Heavy Launch! Congratulations to SpaceX for Successful Falcon Heavy Launch! A private company, on their own dime, built the most powerful rocket operational in the world--and launched it on a test mission towards and beyond Mars! 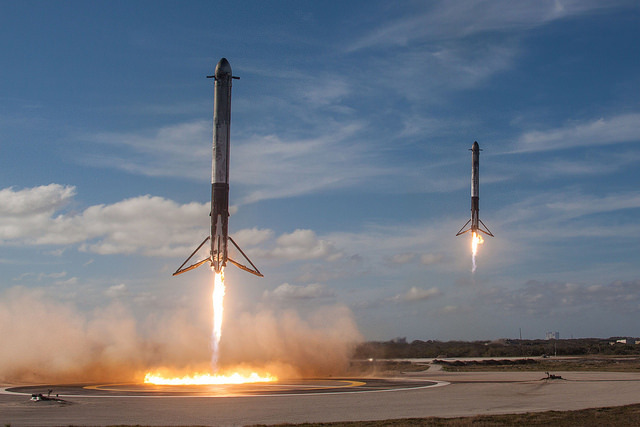 SpaceX spent years developing the rocket, which will be capable of carrying larger satellites to orbit, larger rovers and probes to Mars and other planets, and astronauts beyond earth orbit. With refueling, the FH could even send astronauts to land on the moon and perhaps Mars. 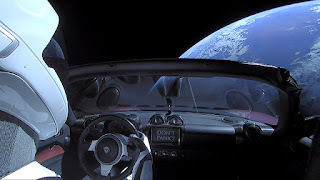 Elon Musk, president of SpaceX had predicted a high chance of failure with this new design, but it performed flawlessly. Oh, the payload was Elon Musk's Tesla roadster, the first car in space, which is on course to pass Mars and orbit in space for perhaps a billion years. 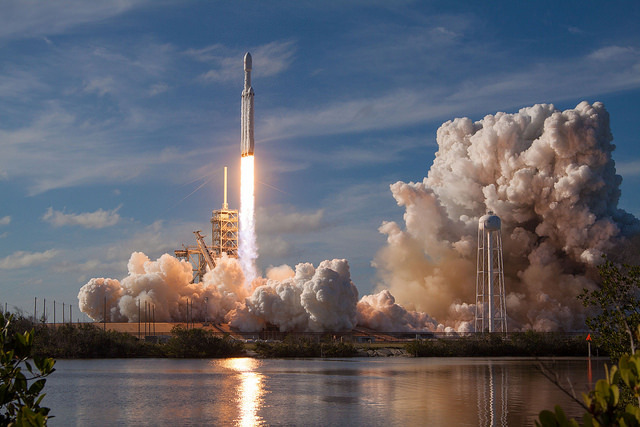 The Falcon Heavy and successors could be major players in reaching beyond low earth orbit to build a base on the Moon in the 2020s and then, with lessons learned, go to Mars in the 2030s. 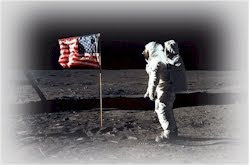 Read more about the Coalition to Save Manned Space Exploration's recommendations to policy makers on the future of our space program and our global competitiveness in space exploration.